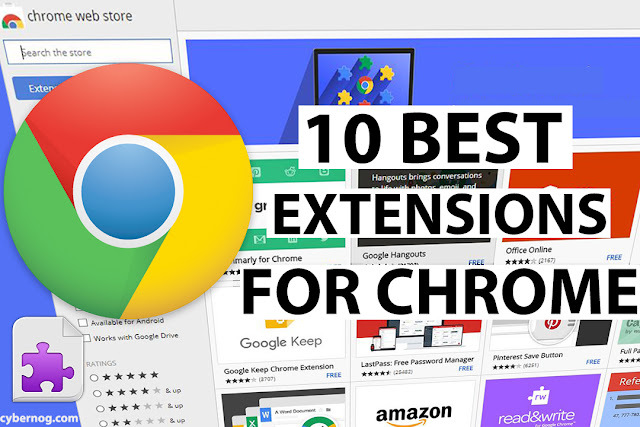 10 Best Chrome extensions you should check right now! Google Chrome is the most-utilized Web browser around the world, The extensions are little applications that can be added to your chrome web browser to add additional features. There are thousands of add-ons currently available on the chrome web store from which i'm going to make a short list of some useful extensions that everyone should know. To add and manage your Chrome extensions click the menu symbol in the upper right-hand corner of chrome, choose "More tools"--> "Extensions" click on "Get more extensions" to access the chrome web store. After adding an extension in Chrome, you can see a small symbol for that extension showing up near the URL. Last pass is a free password manager that will save all your passwords and provides auto login whenever you visit a website so that you never need to remember or type your login details all you need to remember is the Master password. 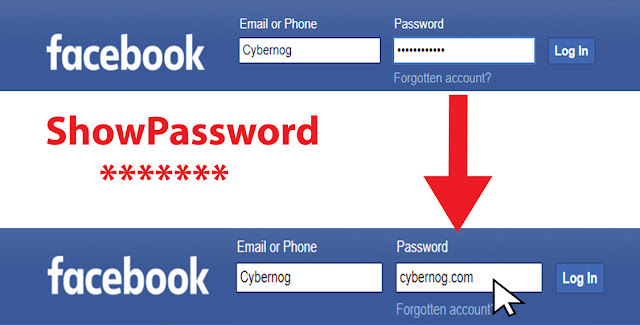 It is highly secured and can be accessed from both PC and mobile devices anytime across multiple operating systems. AdBlock is a must have application for every Internet user if you have not installed Adblock go ahead and install it right now. It blocks pop up ads, banner ads and all the other ads over the web. This will also improve your browsing speed. 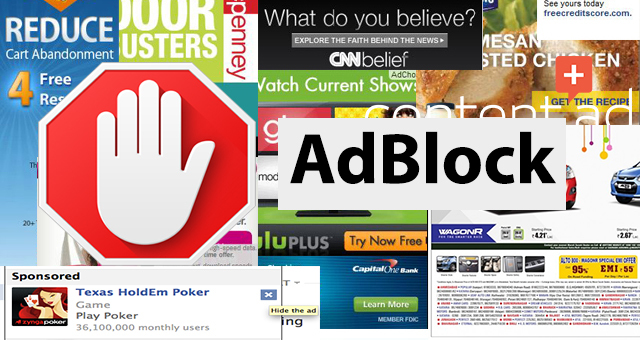 Get rid of the annoying ads using AdBlock. Project Naptha extension helps you to Copy or Highlight text from any image that you come across in the web. It uses state of the art computer vision algorithm to copy text from the images. You can drag over a couple of lines and look as a semitransparent blue box appears over the content, Press Ctrl+C to copy the content and you can paste it in a Word pad, mail or search for it in Google and also you can Right-click and change the words from a picture too. 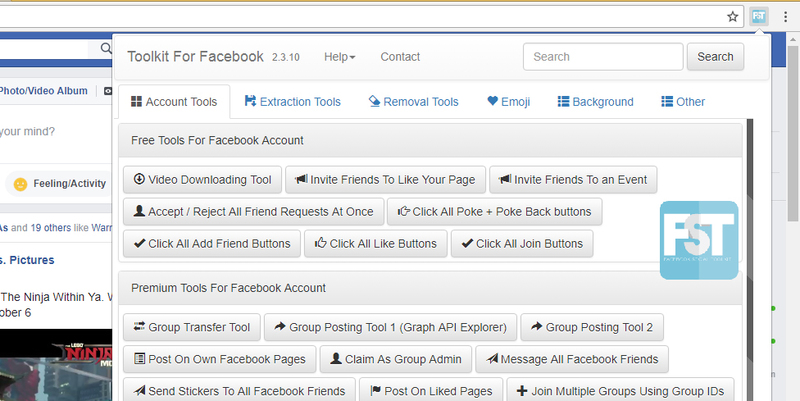 Facebook Social Toolkit has an set of automated tools for performing various automated bulk actions while using facebook that saves your time. Reject all friend requests at once. Send multiple friend requests at once. Delete all comments at once. Unfriend all friends at once. Hide seen for facebook messages. And much more features available on the premium version. Pushbullet is an awesome extension everyone should have. Pushbullet will show you all the notification and phone calls from your mobile phone directly on your PC. You can send and receive SMS, Whatsapp, Kik messages directly from your PC without handling the phone and share the files and links with your devices with ease. Search by Image is an extension developed by Google to search any images that you come across the web. If you found a image with a beautiful location on it but you never know where it is ? Then you can use this awesome extension to explore the curious images you come across the web with an simple right click. ShowPassword is an useful extension when you hover the cursor over the password field it will reveal the masked password in plain text. 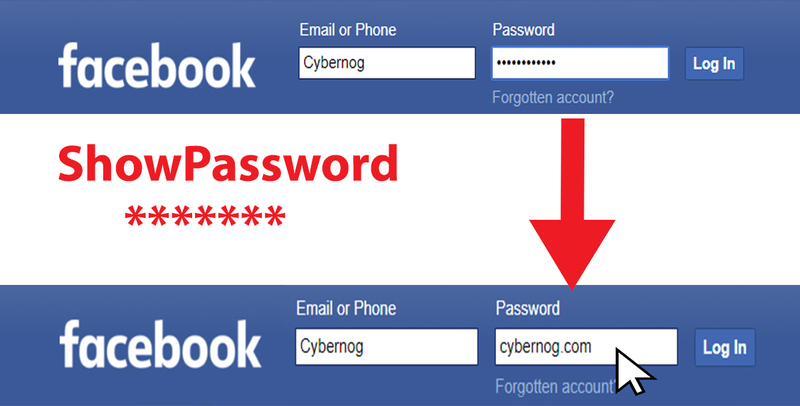 You can also customize this extension when to reveal the password and the usage of keys which reveal the password. Tubebuddy is a must have tool for every youtuber that helps you to optimize and grow your channel saving a lot of time. It provides you additional information such as ranking of keywords, Less competitive tags, bulk updates to your videos and engage more with your audiences using this Youtube certified tool. 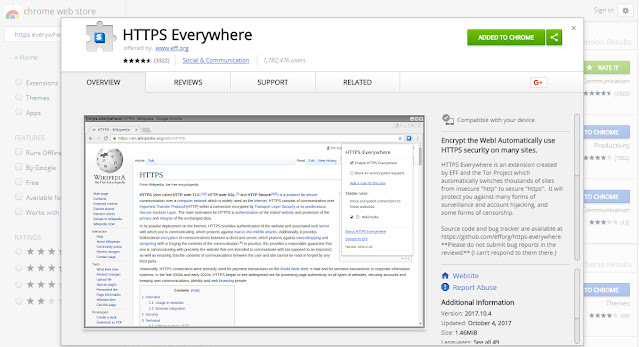 HTTPS Everywhere provides encryption over the web it turns thousands of HTTP websites to HTTPS secured and thus securing the data from account hijacking and sniffing. This tool is for those who want to keep their data confidential and secure. 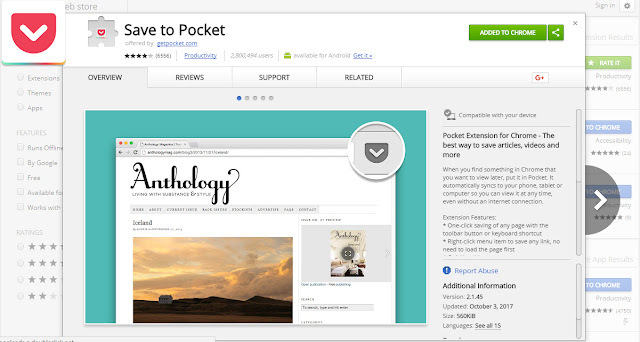 Save to Pocket is used to save videos or articles and other links for later viewing. It syncs across all your devices. You can view the saved article off-line with no Internet connection.It is a completely free tool. I hope you will find this post to be useful, Comment your most preferred extension below in the comments. Thank you!